The painting shows the back of a woman, who is embracing her femininity and power. The painting explores a gesture of confidence without the viewer knowing the woman’s facial expression. 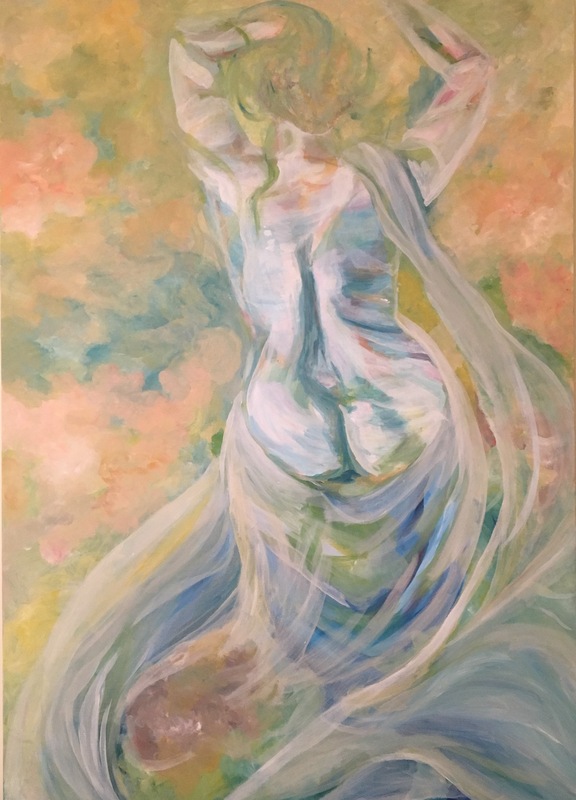 It is a mystery regarding what the woman sees in front of her, but the flow of the draped cloth extending from her frame, suggests she is moving forward. This painting is 127 x 152cm acrylic on canvas.